We’ve seen custom user interfaces on Android phones before, but the W900 probably takes the cake when it comes to advanced value-added features in an affordable package. 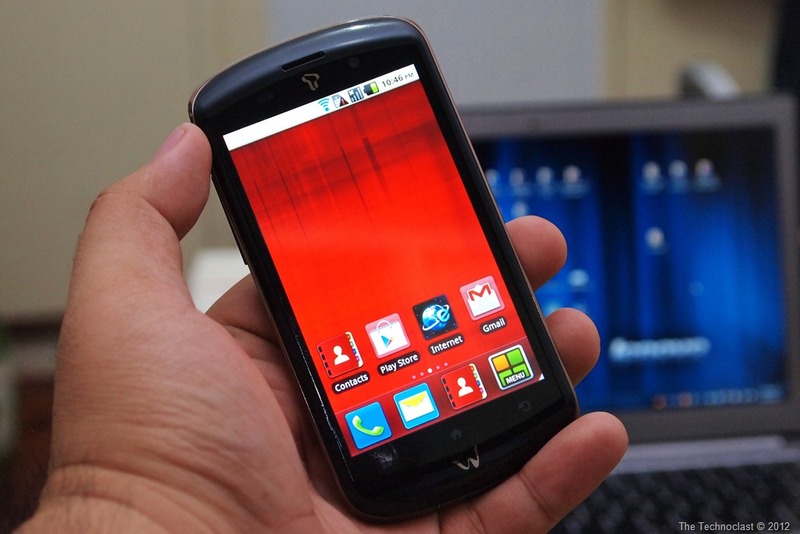 Of course, we’re talking about the recently released Cherry Mobile W900 – dubbed “The Dragon Phone”. It might have been called that due to the fact that it has a Qualcomm Snapdragon S2 processor inside clocked at 1.2Ghz – a respectable mid-range speed for today’s demanding applications. You’ll also be getting a large 4.0” 800×480 display, 5MP camera, and the custom UI which includes a Task Killer, a custom Eco Mode, upgraded Camera modes, launcher tweaks, and some robust Music and Video players to boot. All of that for the entry-level price of PHP 9,999. That definitely sounds like a deal, doesn’t it? Well, we’ve got a review unit in our possession and we’re ready to put it through its paces. Right now though, you can check out our video unboxing just after the jump! So there you have it guys! A 1.0+Ghz phone is finally available in the sub-10k price range. Of course, Cherry Mobile also offers a similar phone in the Cherry Mobile Magnum HD (currently priced at PHP 9,999), which we reviewed recently and came out impressed. The W900 takes a similar form factor with a less boxier design, improves the processor, adds a ton of custom UI features, and throws in an 8GB Micro SD to boot. Stay tuned for a full review of the W900 in our website sometime soon, or you can head out to your nearest Cherry Mobile kiosks and stores and check out the phone for yourselves. At the price of PHP 9,999, you might just walk home with a new phone in hand. Hi! Is this a better phone that the Mugnum HD? Why? Was this from the Dell event dude? Kasi that was the Magnum 2X, ung dual-core na Magnum. Ung Magnum HD iba mukha and 1Ghz single core. =) Clear up lang. hindi naman kasi nagpapahands-on ang cherry mobile ng mga android phones nila, kahit demo phones para ma try yung performance ng phone mismo.. gusto kong magtiwala sa cherry mobile, pero parang ang cherry mobile ang walang tiwala sa mga customer nila..
That’s true, but also the same for even the biggest phone manufacturers. Its very hard here in the Philippines to actually experience the product on your own without much supervision. Unfortunately, we also have to get the same experience. Hopefully our unboxings and maybe our dedication to improve our tech landscape can soon change the treatment of us consumers. Anyway, I believe Nokia Windows Phone kiosks are pretty welcoming though. .. nice. .buti na lang nandito and technoclast..
Isa na lang poproblemahin ko… yung pambili. haha. Haha, hope you can save up for one soon! i would just like to ask kung pwede rin syang i wcdma only, instead of preferred. thank you sa you tube video walkthrough niyo ng cherry mobile orbit sa ganitong settings.